Jenna joined FFP Wealth Management in 2006 as an entry level administrative assistant, but her ambitious attitude and paramount work ethic soon made it apparent that she would not remain in that position for long. Jenna’s many years of gaining administrative experience with our firm has given her the resources to advance her inherent organization skills and keen eye for detail. Those abilities paired with her unwavering dedication make her an invaluable asset to our company. 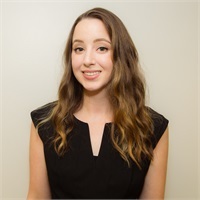 Jenna strives to continue her knowledge base because she hopes to deliver the best possible experience to our clients, which she believes is the most important of her responsibilities at our company. Both Bayonne natives, Jenna and her husband, Jim, are high school sweethearts who married in 2012. In 2014, the couple was very excited to become first time parents upon welcoming their son, Rory Edward. In her free time Jenna likes to read, but more recently she has developed a passion for creating a clean, healthy lifestyle for her new family.